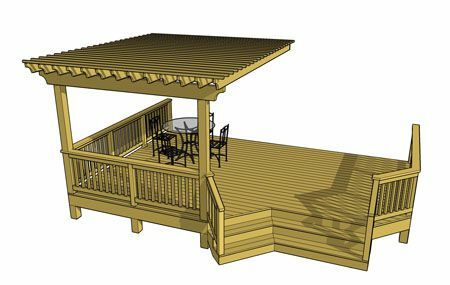 This deck design features an overhead pergola that covers one side of the deck and a an angled staircase. 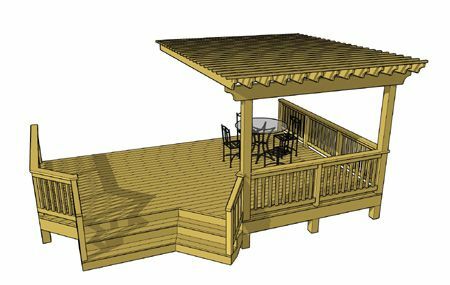 This deck provides enough space for a grilling area and a dining area. 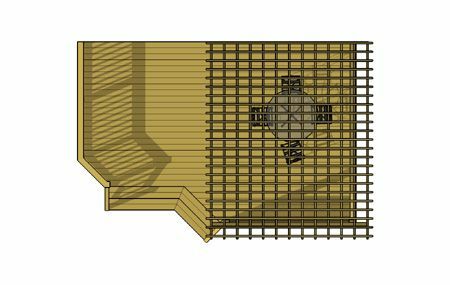 Diagonal decking may be used to eliminate splicing deck boards and to add an interesting aesthetic.